Lanjigarh: World Breast Feeding Week is globally celebrated from 1st to 7th August to encourage breastfeeding for mothers and children all over the world. 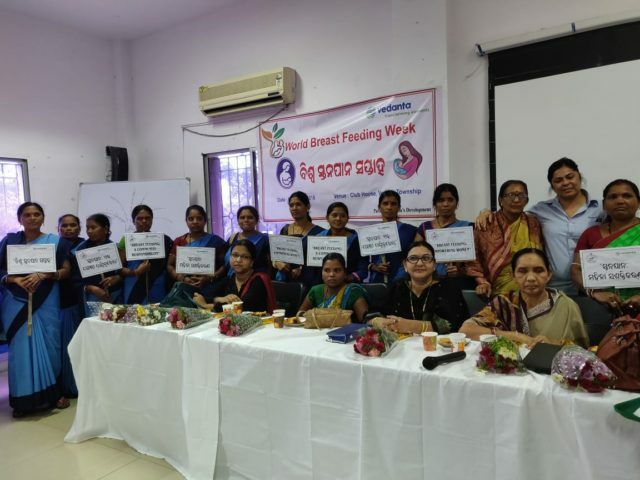 With this year’s theme “Breastfeeding: Foundation of Life”, Vedanta Limited, Lanjigarh commemorated the week by conducting an awareness session today on breastfeeding, stating its advantages in maintaining the health of the baby, about early pregnancy stages and after childbirth. In today’s awareness session, the dignitaries present were Ms Mani Majhi, Sarpanch – Lanjigarh, Ms. Mangli Majhi, Basantapada – Sarpanch, Ms. Mamta Majhi, Sarpanch – Jagannathpur, Mrs. Kusum Kumari Prahraj, CDPO – Lanjigarh Block, Jyotsana Rani Mishra, Lady Supervisor – Lanjigarh, Dr. Rama Nayak, gynaecologist – Vedanta Hospital, doctors Sanjay Kumar Behera and Narendra Kumar Nath from Lanjigarh Hospital, Ms Harmeet Sehra, Chief Community Development Officer, Dr Akshaya Kumar Sahoo, Chief Medical Officer along with the employees of Vedanta Lanjigarh. 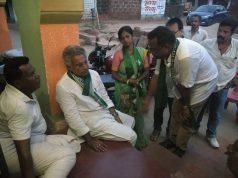 Over seventy women including lady supervisors, ASHAs and ANMs, from nearby seventeen villages including Rajapada, Lanjigarh, Basantpada, Sindhbahali, Kotduar, Bandhguda, Kansari, NVN, Jagannatghpur, Rengopali, Kendubardi, Bhataguda, Maskapadar, Chhatrapur, and Banigao were present during the occasion. 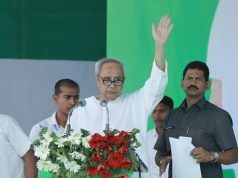 The dignitaries addressed the benefits of breastfeeding and how it is vital for the new-born’s health and survival. The awareness session emphasised that women must look after their health and diet in order to provide the necessary nutrients to the baby. 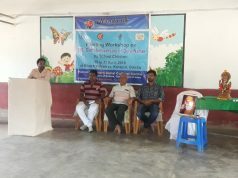 The session was proceeded by a health check-up to examine the haemoglobin count, blood pressure (BP) and weight of the women, followed by the distribution of iron tablets.